I’m not going to say it’ll ruin your whole project but choosing the right types of screws is impertinent, so you won’t risk any built roof or desks or bed or anything, for that matter. There are dozens or maybe even hundreds of different screw head types you’d never imagine, ranging from shapes and size and building purposes. The shape of screw head may seem fiddling for emerging DIYers, but they’re made that way for some reason. Screws are designated to wrapped around a teeny tiny cylinder for specific applications. They’re now massively produced using modern methods for incredibly cheaply sell for machinery, yet sturdy enough to attach two things. For this, you need a guide on finding the right types of screws when hundreds of combinations of head shapes and drive type can potentially be confusing. The circular ridge is one that characterized different types of screws and their applications, which major tasks are to hold the objects together. The circular ridge, also known as threads, is supposed to work well with the internal thread, also come by the name of a complementary thread. Some threads are shaped to cut different surface of materials, so depending on what surface you’re working with, it’ll define the correct slotted screw. As the name implies, the machine thread or screws, are most suited to match for precision machinery application. This type of screw metric or size is defined by the letter “M”, which explains its diameter and followed by the thread pitch number. To make it clear for you to choose the right size, I’m going to give you an example. Supposed a machine screw is written “M5 x 1” on it. That means the screw has a 5 mm diameter and 1 mm thread pitch or the space between threads. 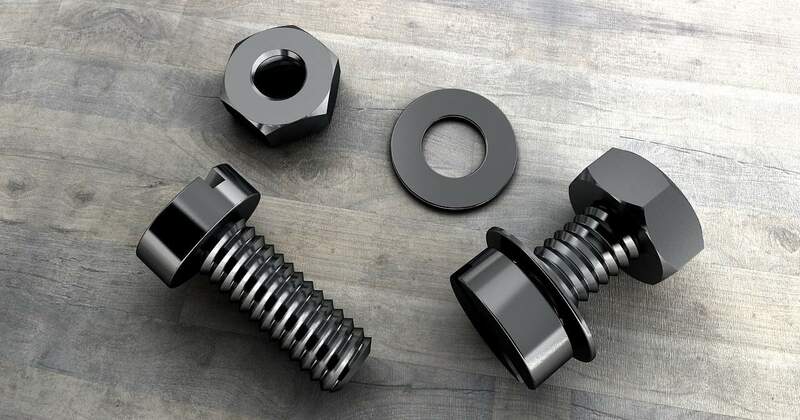 There are other ways of figuring machine screws size, depending on the number, even their fractional size like ¼-10 screw means it has 0.25-inch of diameter, and 10 threads per inch. The second that made a list on my types of screws 101 basic is the self-threading screws. This one is easy to use, has a simple application, and suitable for the hard surface of a project. All you need to do is drilling the pilot hole into the surface material, screw it, and attach the fastener. Self-threading screws are most favored among people constantly working on sheet metal or wood surface simply because of their restraint. Using this screw, you don’t have to worry about the thread pitch quite too much. Unfortunately, it is rather damaging for your material, particularly when regular re-installation is needed. When it comes to choosing between the two, it simply a matter of professional-looking result. A countersunk one helps you find the proper angle to attach your screw by pre-drilling the hole for a smoother finish. The non-countersunk, on the other hand, has no angle of its head shape nor has it on the outside of the finish surface of your project. No angle available, and people mostly use it for rough work. From rounded, dome-head, bugle, flanged, filister, to hex design, various screw head types are suitable for a different range of project with a different driver to attach with. Here are some of the commonest screw head that boasts both functionality and tenacity. Slotted screw is probably the oldest among all and the most-used one with a linear slot. It has the most variety and goes well with the standard screwdriver and listed in the countersunk thread inventory that is available in many households. At a glance, you’ll find it similar to the slotted screw; only it’s perfected with the cross-shaped laps. The crossing, however, is not continuous until the edge of the screw, featuring circular shape. The phillips screw head requires a phillip-head driver, and it also allows you to work on the larger mating surface and decrease the possibility of slipping while working and worn out. The cross-head Phillips screw can get along well with the flat-head driver. You don’t have to worry about stumbling when using a flat-head screw that leaves no trail, none of the head exposed on the surface. This type of countersunk screw also comes in a variety of degrees. The degree is referring to the head angle where the thread meets the head. The standard flat-head screw is an 82-degree head with shorter head size and long thread on the same length of the screw. There is also the 90-degree screw, 100-degree screw, and more; see when you have the higher degree of a flat-head screw, you’ll need a more spread-out countersink hole, but also shorter. Also known by the name of the raised screw, oval-head type offers more angle than the flat screws; almost has the dome-like looking. The oval screw accommodates the angle for your project result–that is, the screw will come out (raised) a little on the surface after mounting to give you a slight decoration touch. The bugle screw has a similar appearance to flat-head screw, except you’ll see a curvy-shaped angle right under the surface of the head. This type of screw is mostly used to hold the object together on drywall or plasterboard, allowing you to have minimum damage on the surface. The good thing about working with bugle screw is that you don’t have to drill any pilot holes since they are self-drilling. If you have the plan to work on a metal surface or anything that requires large holes, truss screw will do the task properly. This is the types of screws with a wide head, rounded surface (only slightly) that will prevent the thread from falling through the drilled holes. The square head screw requires a special kind of driver to work with, judging by its appearance only. This type of screw is known by the name Robertson screw, featuring square dent–obviously–to impair the chance of it slipping or sinking through the holes. There you have some of the commonest types of screws used in regular households or projects. You’ll need to choose one that’s suited the designated result, but most importantly, choose one that you’re most comfortable to work with.